Our ever-popular summer activity weeks in East Lothian are back for an eighth year. This year, we are once again offering fantastic volunteering opportunities. As a Volunteer Assistant Forest Schools Leader, you will volunteer alongside our fully trained, experienced leaders. 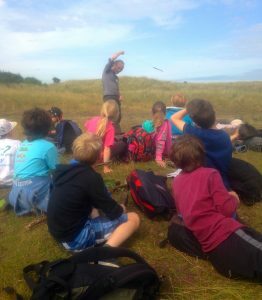 The participants on our activity weeks are aged 8 to 12 (EcoKidz) and 13 to 16 (our new Wild Instinct programme).